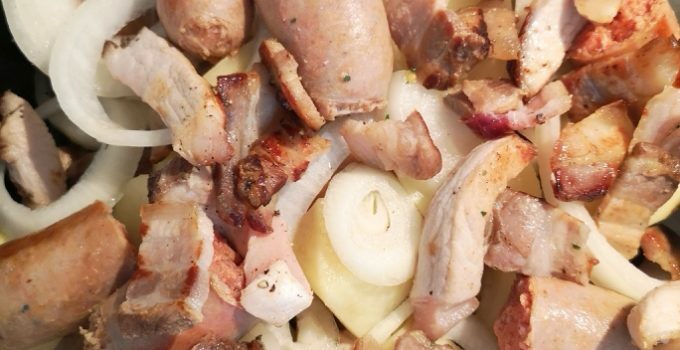 In a large oven proof casserole with a tight lid, layer the onions, bacon, sausage and potato adding parsley and seasoning between each layer. We cut the sausages in half others leave them whole, you choose as you wish. Bring liquid to a boil, reduce heat, cover pot and place in pre-heated oven on low to cook for up to three hours. Serve, eat and enjoy, around the table.